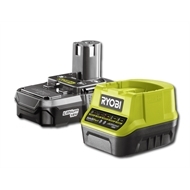 RYOBI ONE+™ - You don’t need to buy a new battery and charger every time you buy a new tool. Over 60 Powertools and garden tools - one battery platform will power them all! 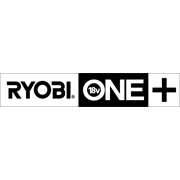 The ONE+ Starter Kit includes Fast Charger and 18V 1.3Ah Lithium+ Battery. Thanks to the innovative ONE+ system the battery works with all ONE+ tools in our range! This Starter Kit is backed by a Ryobi 3 year battery and charger replacement warranty.